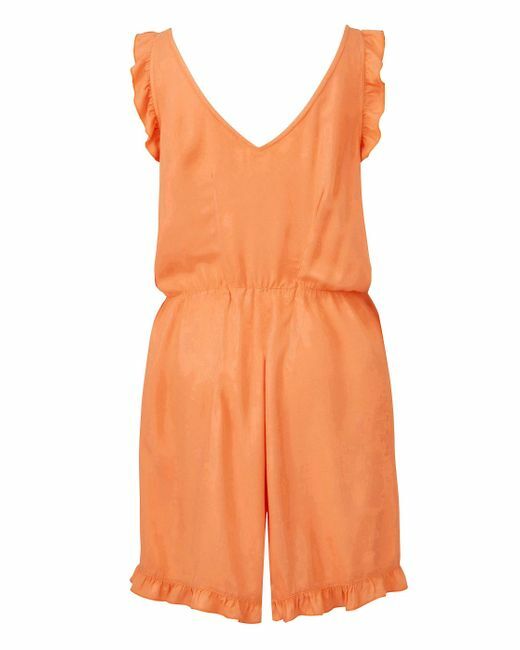 This frill trim romper is the perfect piece for easy summer style. 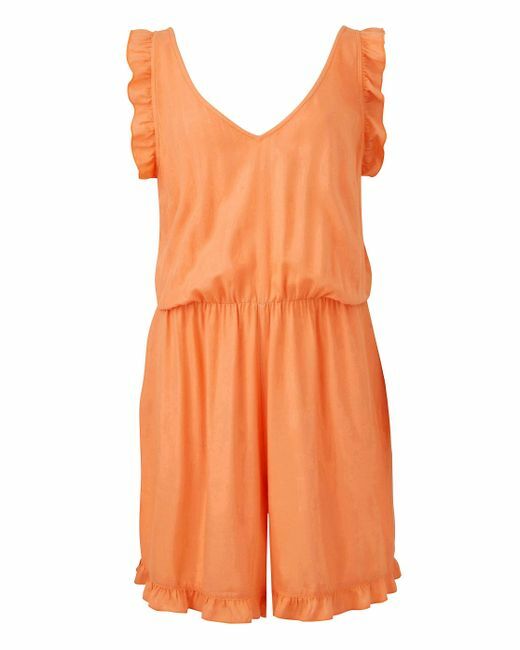 In a lightweight fabric with a flattering V-neck, style with sandals and a woven belt to keep cool in the summer sun! Rayon. Machine washable.